BINARY COMMUNICATIONS & PATH TO THE INTERNET REVEALED FOR FIRST TIME IN CENTURIES LOST EUROPEAN MANUSCRIPT BROUGHT TO AMERICA IN 1842 NOW REVEALED! Tom Perera was born in New York City in 1938. He earned his BA, MA. and Ph.D. from Columbia University in New York and continued teaching there for 40 years. Dr, Perera also joined the faculty of New Jersey's Montclair State University in 1975 and continued teaching as a visiting professor at Columbia until his retirement as Professor Emeritus at Montclair State University in 2002. As a boy at the age of 13 Tom Perera earned his first Amateur Radio license, sparking a lifelong fascination with electronics and radio that carried over into his career as a professor of Neuroscience. Dr. Perera has written hundreds of articles, books, CDs, consulted for numerous museums, universities, and public and private television stations, and given thousands of lectures and demonstrations. His series of 26 computer software programs has been used in 90% of the colleges in the world. Professor Perera travels frequently to Europe to lecture and hunt for technological artifacts. He is now retired and lives with his family on a mountaintop farm in Vermont. 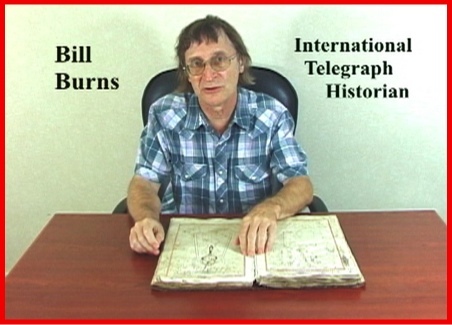 Bill Burns was born in the United Kingdom and lived in Manchester during the early part of his life. Entering the University of Leeds following his primary and secondary education, Bill took interest in electronics. After graduation following the receipt of a Bachelor of Science degree in electrical engineering at the University of Leeds in 1968, Bill Burns entered into the English electrical trade under the employ of the BBC (British Broadcasting Co.), in the organization's External Services Radio division, working in that sector for three years. Shortly after meeting his future wife, an American, at this time in 1971, Burns moved to the United States to continue his career in the electrical field. Settling in New York, he spent a number of years in the high-end audio industry at a Long Island company, during which time Bill also reviewed equipment and wrote articles on audio, video, and computers for a group of consumer magazines. 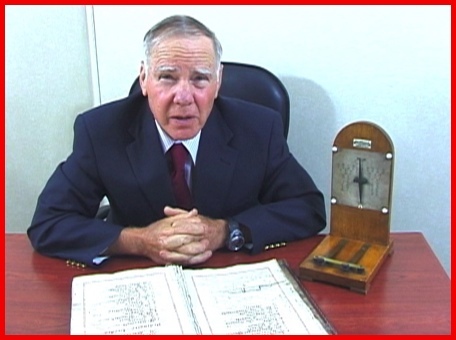 Turning to computers full time in the late 1970s, Bill Burns worked on both hardware and software, and in 1993 he established his own computer consulting business, which still occupies some of his time. The research Burns engaged in while formulating articles on subjects as diverse as audio recording and reproduction theory, video tape recorder development, electronic music instruments, and the history of computing, eventually led to a general interest in early technology. 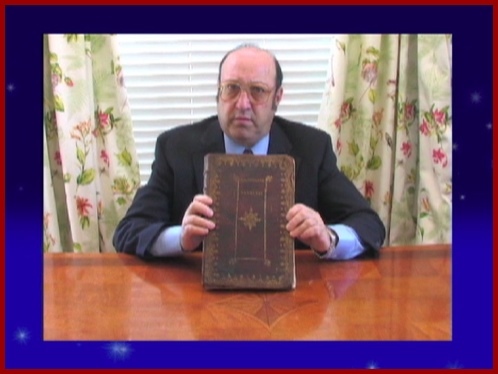 In the 1980's he began collecting instruments and artifacts from the fields of electricity and communications, and in 1994 a chance find of a section of the 1857 Atlantic cable led to his specialization in undersea cable history and this catalyst also caused him to dig deeper into the realm of the history of telegraphy in general. Before he knew it, electrical product story writer and author Burns began to be led down the path of that of a historian. In 1995 Burns set up the first version of the Atlantic Cable website, (described in more detail below), which initially, was merely a single page posting a bibliography of books on undersea telegraphy. As he acquired more material - cable samples, instruments, books, documents, and other artifacts - each new find was added to the site. The website now has over 850 pages on all aspects of undersea communications from 1850 until the present and is the most comprehensive site of its kind in the entire world, in league with the history website of IEEE in several ways. Many site visitors have also contributed photographs, stories, and articles, and in several cases long-lost relatives and friends have been re-united through the website. Bill Burns in conjunction with FTL Design, the organization which manages his various website interests, operates and manages several other adjunct websites under the Atlantic Cable masthead treating a plethora of electrical technology history besides merely telegraphy. The Atlantic Cable website is operated as a non-commercial source base on the history of telegraph communications with, as the site proclaims, its primary "mission is to make available on line as much information as possible" pertaining to the telegraph and its allied histories. The late English historian and author Steven Roberts (1950-2012), conducted much vital research and contributed significant source information to the Kerby treatise. Roberts had founded and operated the Distant Writing Internet English telegraph history website. As of January 2014, according to Bill Burns - Distant Writing currently assigned Webmaster - the Distant Writing website has been archived for preservation by the British Library. In the summer of 2012, Burns had the unique opportunity to have had a hands-on evaluation of the Cooke telegraph manuscript journal prior to the final palegraphic authentication by journal discoverer Richard Warren Lipack, and before a Cooke provenance was finally wholly codified. Combining their acute research prowess, the Burns and Roberts team contributed more significant data to the historical record than had been previously known, and their contribution to the annals of telegraph and commincations history can not be underestimated. Bill's interest in cable history has taken him to cable stations at Heart's Content (Newfoundland), Valentia and Waterville (Ireland), Porthcurno (Cornwall) and Orleans (Cape Cod, Massachusetts), and to archives and museums in New York, Washington and Key West in the USA; London, Edinburgh, Manchester and Hull in Britain; and others in a number of European countries. 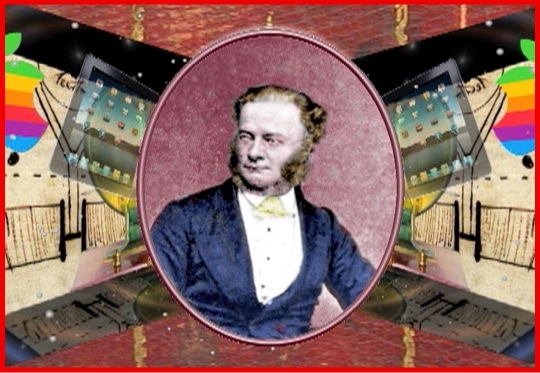 He has presented papers on cable history to an IEEE / IEE conference at University College London, at cable company Hibernia Atlantic's annual technical meeting, at the 150th Anniversary Celebration for the 1858 Atlantic cable at the New-York Historical Society (which he instigated and helped organize), at the annual conference of the Antique Wireless Association for a number of years, and most recently, at the historic cable station in Valentia, Ireland, in 2016 for the celebration of the 150th anniversary of the 1866 Atlantic cable. Bill Burns and family currently makes his home in Long Island, New York.